Happy Friday! I also want to wish my friends south of the border a belated Happy Thanksgiving. I think most of us Canadians are a bit envious of your 4-day weekend! Today is Black Friday, but I’m hoping some of you will stop shopping for a moment to get your Holiday Countdown list for week five. This past week, I’ve been creating handmade gifts, as well as putting together some decorative gift wrap materials I’ll be sharing with you in the coming weeks. I also bought a few more Christmas gifts, sourced a few items for our basement, and pinned some new recipes I just have to try this year. I want to remind you to mark your calendars for the upcoming link parties in December. I’m really looking forward to seeing what you’ve all been up to! 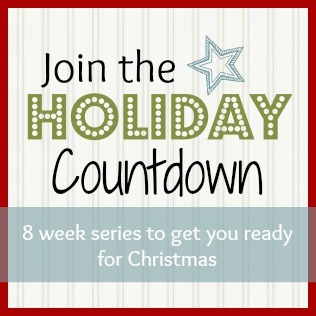 If you’ve missed any weeks along the way, be sure to catchup on the full 2012 Holiday Countdown Series. Donate to a charity or give your time. I am so grateful for the blessings I have in my life. A few years ago, we had a health scare with my son for a 6 week period over the Christmas season. It came to a happy ending when we were given great news from the doctor just into the new year. At that time I was so relieved, but I can’t even begin to tell you how it makes me feel for the parents who are not given such great news. Every Christmas we donate to a number of charities, but the one I always give to is the Children’s Cancer Recovery Foundation. It’s a charity that supports families going through really hard times, sends children with cancer to camp and delivers toys to kids who are too sick to make it home for the holidays. As well, who can forget those affected by Hurricane Sandy. Can you imagine what it would be like to lose everything? I suggest you choose a charity that’s close to your family’s heart. If you have more time to give than money, there are always food banks, animal shelters and other causes that can use a helping hand. Even if you don’t think you have one crafty bone in your body, try making something. It’s a great way to get your kids involved and, for myself, it’s the best way to get in the holiday spirit (especially when I put on some holiday music). Start gathering gift wrapping supplies. 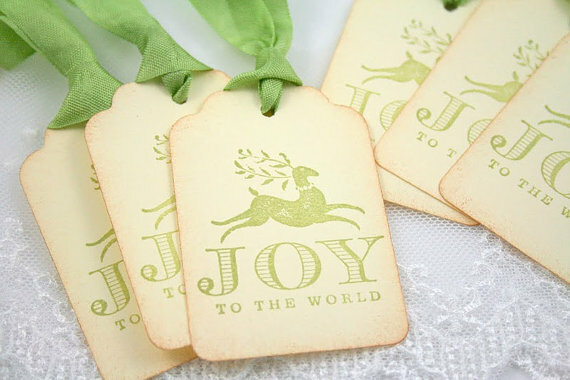 It’s often the last thing we think of, but one of the most important parts of gift giving. If you wait to buy your wrapping paper, bags, tissue, bows, ribbon, gift tags and all the rest until you’re done shopping for presents, you’ll likely be disappointed. Not all supplies are created equally in both function and design. I find it so frustrating when paper rips at the corner or tissue paper is so thin that you can barely touch it without it falling apart. As well, unless you’re going for a kitschy look, try to coordinate wrap so it’s part of your decor. It’s also nice to add something to the gift that fits the personality of the recipient. My mother-in-law always does this and I enjoy it every year. For instance, one year she attached a small kitchen gadget tied with ribbon to my gift because she knows I like to cook. For my son she has fastened a pack of hockey cards to add to his collection. It’s just that extra detail that shows she put a lot of thought into it. 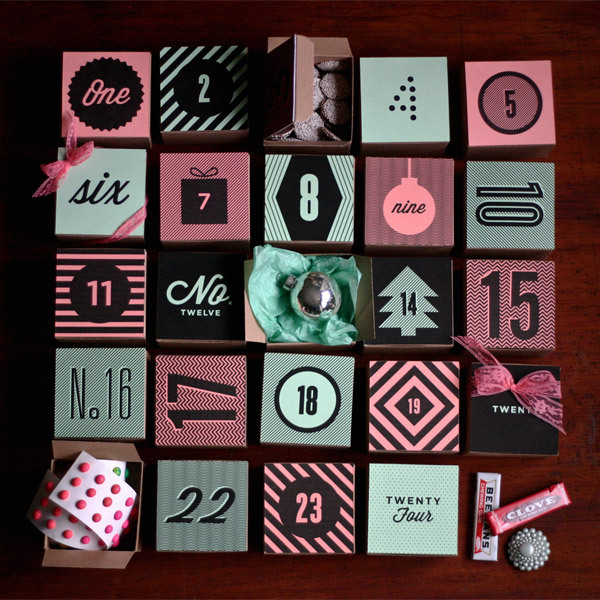 Buy or create an advent calendar. I moved this task up one week from last year’s countdown to give you a little more time. I don’t care how old you are, advent calendars are fun. Although my son is 17, he still likes opening a little something starting December 1. In the past it was chocolates, but starting last year, I changed it up and wrote daily vouchers. For instance, the note would say a hot chocolate from Starbucks or a chore he got out of doing that day. Obviously he enjoyed it because he’s asking if I’m going to do it again this year. This one from Oh Happy Day comes with a free printable to create mini boxes. 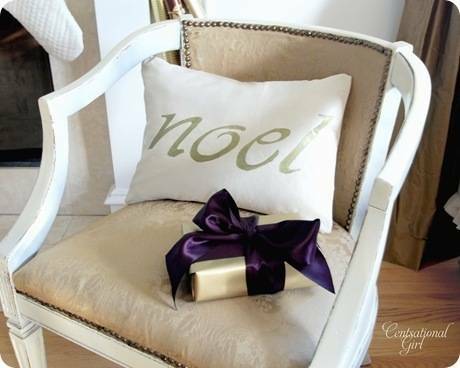 How are holiday preparations going at your house? Do you feel on track or a little frazzled? Is there anything in particular you could use help with? Please leave a comment or shoot me an email- I’d love to know! I love your idea for the Advent calendar! I do chocolates in a cloth calendar with pockets… but the notes are genius and way more fun… And I’m appealing to a 17 year old and my hubs! I think I know what I’ll be working on next – thanks Shauna! So far not too frazzled. I’ve managed to buy most gifts already, but I always leave the hard ones till last… like my husband. I still need to give some more thought to what to get him this year! Love the advent calendar ideas. I’ve never done an advent calendar, but this year I might start! Thanks Shauna! Your family will love an advent calendar! I always leave my husband until last as well (not sure why), but this year we’re only doing stockings between the two of us. We both want ski equipment so we’ve decided to forgo gifts for each other. Haven’t done a thing yet! Wahhhh! In our family we pick names out of a hat for the aunts, uncles, nieces, etc and we just did that on Thanksgiving. Oh boy, better get to work! You’ll catch up, I’m sure (and it’s still only November). I haven’t bought too many gifts yet, but we really don’t do many anymore. Still, it’s always a good feeling to have that done. I’m hoping to do a little decorating and shopping this weekend. These are all great ideas but I think I’m won over by your mother-in-laws idea. It’s just such a nice touch and so personal. It really is a good idea that I’ve adopted and have so much fun with. That one is fabulous. Let me know how it turns out.